Our project manager is your one point contact with mold manufacturing on site. All of our project managers are experienced engineers with plastic mold manufacturing and design background, from inquiry to final mold test and delivery, all your requests would be replied and taken good care of in a time manner. Project management is the key to bridging the gap between customer and manufacturing, guarantee each step under control. Your project would be reported weekly and graphically. Our project manager work as your consultant, we can help you to come up professional solutions to meet your molds or injection molding needs. With a long time services in china mold making industrial, all of our project manager have rich mold export experiences to work with customer overseas. 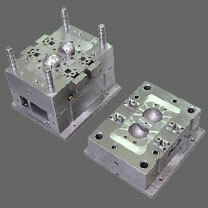 Ensure molds & parts we deliver meet the requirement and standard of customers. Efficient communication to bridge the gap between customer and manufacturing site.